A purple wine, his royal color a match for his flavor profile and breeding. Powerful without force, he deftly blends luxurious spiced-plum with soft structure and freshness. A beneficent patriarche, this Clos de Vougeot, such is his magnanimity towards my need to judge him as ‘not mineralic enough’. Now – 2020. Planted in 1905 and situated just below Grands Echézeaux, averaging fifty years of age. Fullish ruby. Fragrant, velouté textured, resplendent in his fruit, he’s the concentrated juice of damson, morello cherry and pansy strained through earth. Slightly peppery from the wood toast. 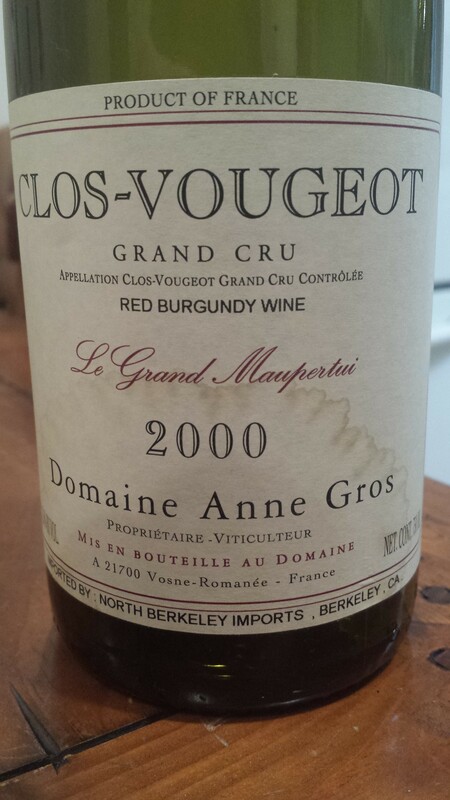 At maturity now, with an ample yet fettled Clos de Vougeot carnality. But the end is more expressive of wood-spice than of place so this isn’t speaking to us in metaphor – yet. For now, a Clos de Vougeot for the fruithounds. Now – 2020.